This Alu Rocking Chair is made from aluminum & treated with powder-coated design to prevent rust. Make your comfort a priority with wide aluminum armrests and a high back with an attached pillow that is so comfortable it will keep you lounging for hour. Durable and sturdy, this Garden Nap Rocking Chair is constructed of solid steel and weather-resistant fabric that will make it a mainstay on your porch or patio for long time. Lightweight & easy to move, this chair can be folded for easy transportation & storage. 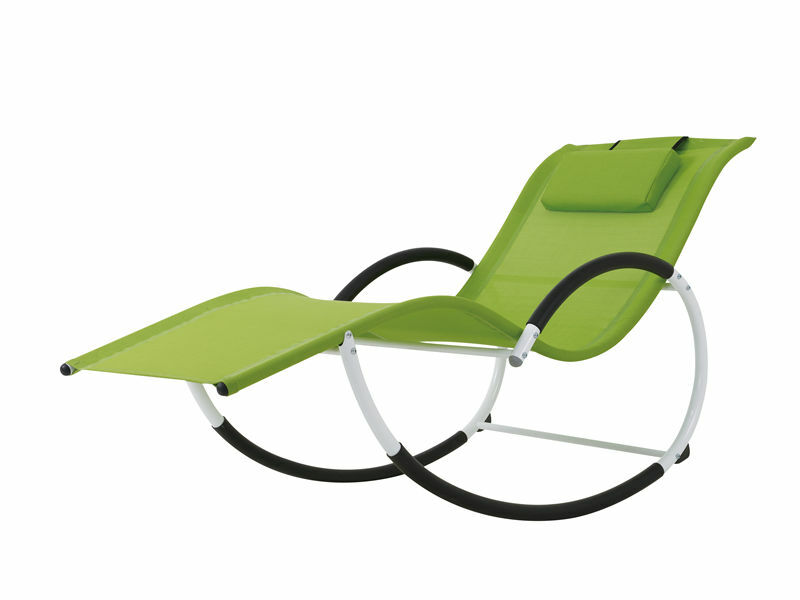 Looking for ideal Garden Nap Rocking Chair Manufacturer & supplier ? We have a wide selection at great prices to help you get creative. All the Alu Rocking Chair are quality guaranteed. We are China Origin Factory of Rocking Chair for Gift. If you have any question, please feel free to contact us.